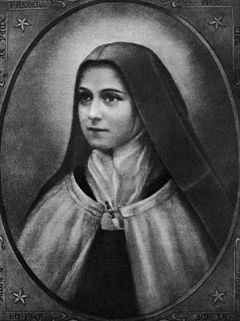 “The Little Flower… rejoices in the wholly undeserved favours bestowed upon her by Our Lord. She knows that she had nothing in herself worthy of attracting Him: His Mercy alone showered blessings on her”. “I will let no tiny sacrifice pass, no look, no word. I wish to profit by the smallest actions, and to do them for Love. I wish to suffer for Love’s sake, and for Love’s sake even to rejoice: thus shall I strew flowers”.